X-priv Baby Vape Kit By Smok, 7 colors available, includes x-priv baby battery and TFV12 big baby prince tank. 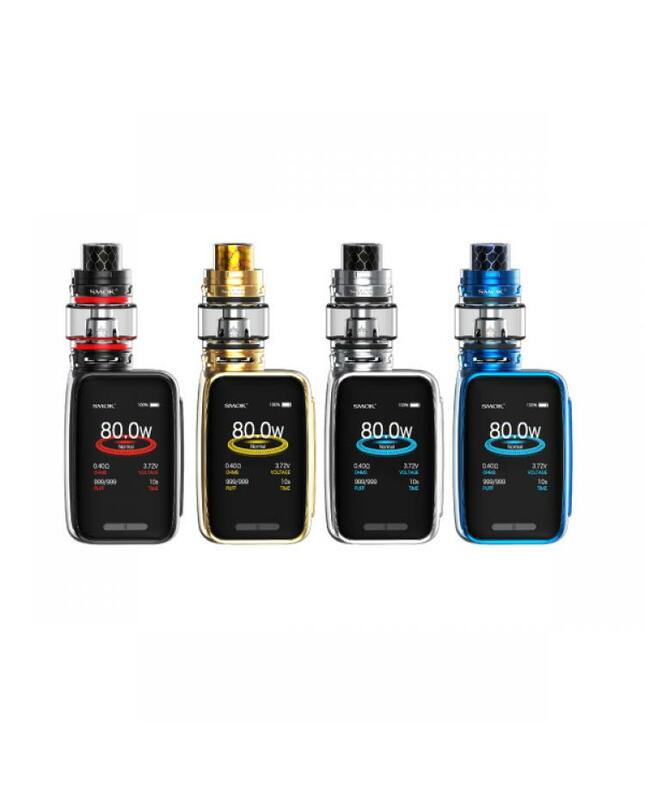 the new smok vape kit is mini version of X-Priv 225W, the new smoktech 80watts TC box mod with small and portable size, glassy texture at front, cobra pattern at back, the whole vape box mod is designed ergonomically, will offer you more comfortable hand feeling, the x priv baby vape mod built-in 2300mah battery and max output 80watts, which can bring you a massive cloud of vapor, there are multiple types of protections to avoid potential risks. vapers can use the micro USB port to charge the built-in battery and upgrade the firmware. 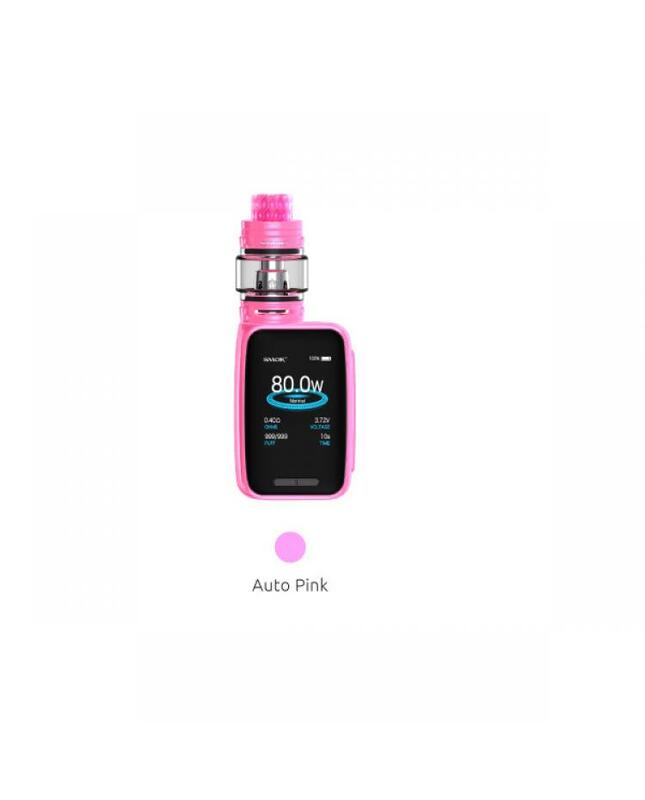 the large 2.0inch high-definition full screen will show you the full vaping data clearly. with UP/DOWN buttons at the bottom of the screen, which are more convenient for operation. the main menu and sub-menu are easy to read and operate, vapers can set the vaping setting simply. the are the advanced puff setting function, vapers can set the daily puff numbers and help you quit smoking. mini x priv with the newly designed user interface, the whole interface looks more intuitive, you will see the details of vaping data, such as working modes, vaping effect, working voltage, battery life etc, there are 6 colors available for screen setting. there is a friendly big fire key on your right is easy to operate. 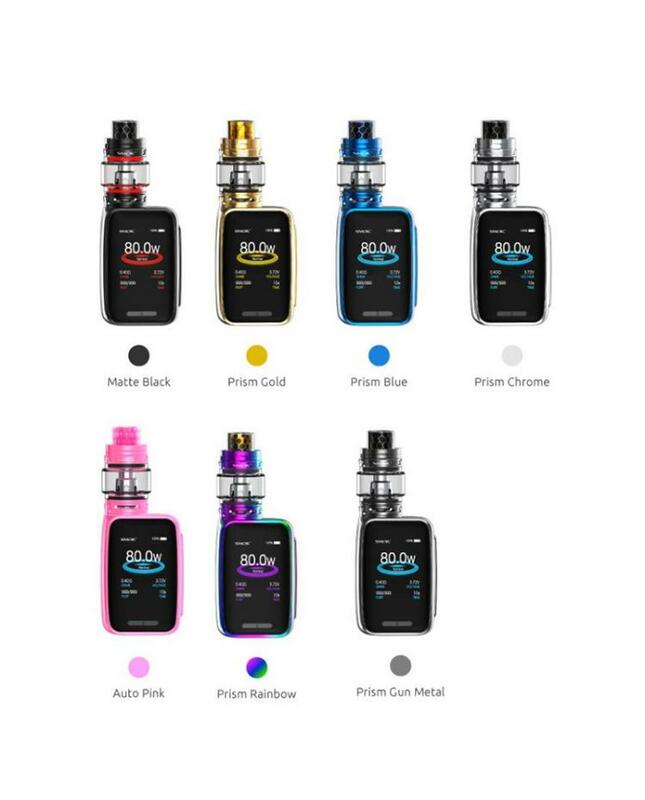 the TFV12 big baby prince tank can hold 6ml e juice, with a convenient top refill system, simply push the top cap and inject your e juice, no leaking issue at all, the newly designed top cap has patented locking mechanism, simply press the button to lock and unlock the tank, there are dual large airflow adjustable slots at base of big baby prince tank, vapers can rotate the airflow adjustable ring to adjust the airflow, the new sub ohm tank built-in V8 Baby Q2 dual coil heads, which will bring you rich cloud and dense flavor.